The School Idol Project anime, Love Live! µ's (Muse) member Pile is coming to Malaysia for her first Asia Tour <Love Live!>. Pile is set to embark her Asia Tour in Kuala Lumpur with a full 2-hour live concert and Meet & Greet session on 21st January 2017. Hori Eriko, known as Pile, is a voice actress, singer, and actress from Tokyo. You might not know her well - Pile started her career as an actress with minor roles TV series and films then after Japan-wide audition in 2006, she debuted as a singer and her songs are used as a theme song in anime series such as "Densetsu no FLARE", "Kimi ga Kureta KISEKI" and "Dream Trigger". 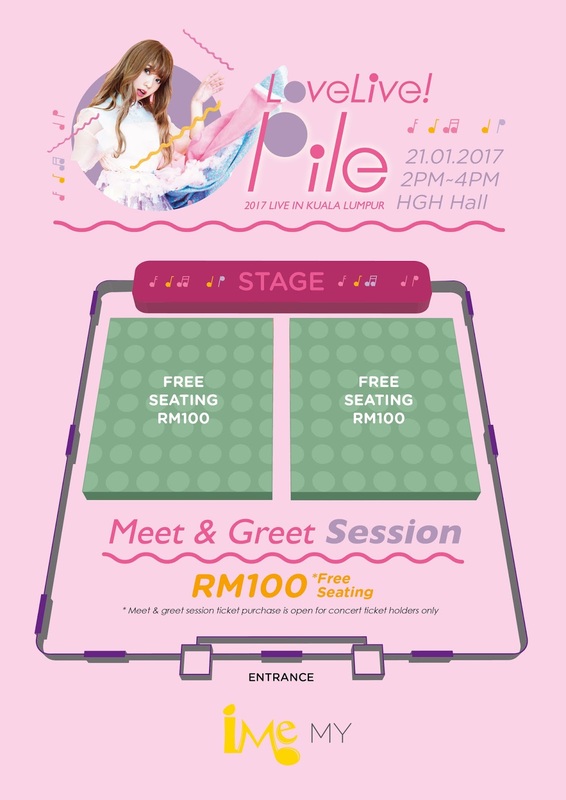 In 2010, Pile debuted as a voice actress and had gained a large fan base after her voice-acting in Love Live! with her role as Maki Nishikino. On top of that, Pile's second solo character album, Love Live! Solo Live! from μ's Scarlet Princess and latest second solo album "PILE" had been listed in the Oricon Albums Chart. 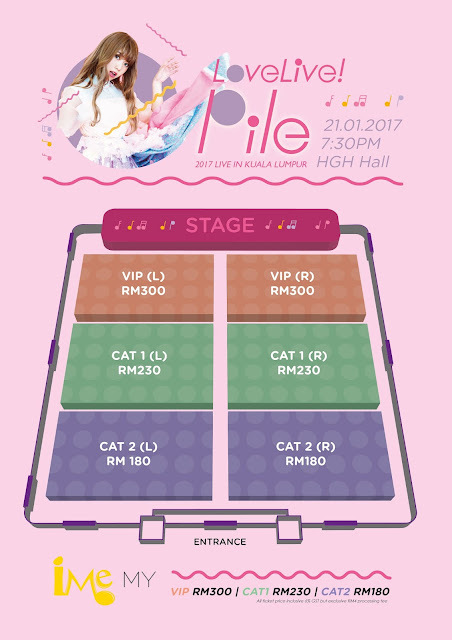 In 2016, Pile focusing on her career as a singer and kicked off her first <Love Live!> Fan Meeting in Shanghai then will go to countries including Singapore, Malaysia, Thailand and etc. Love live! 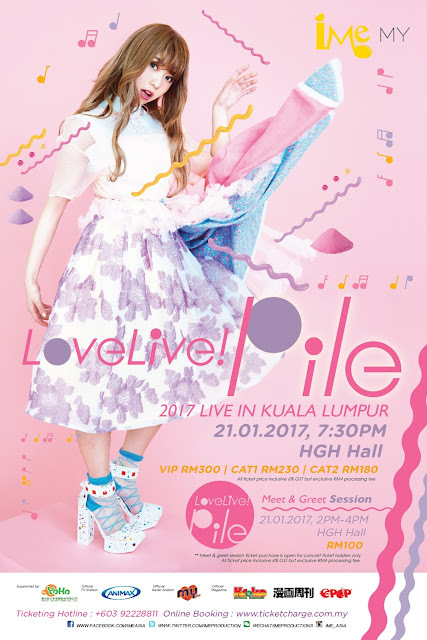 2017 Live in Kuala Lumpur will be accompanied by majority of Pile's hit songs, as well as many new songs from her 2nd solo album "PILE". Tickets are still available via TicketCharge website or TicketCharge selected outlets. You may walk in to TicketCharge offices or book via hotline - 03-92228811. Time : 7:30p.m. – 9:30p.m. Time : 2p.m. – 4p.m.